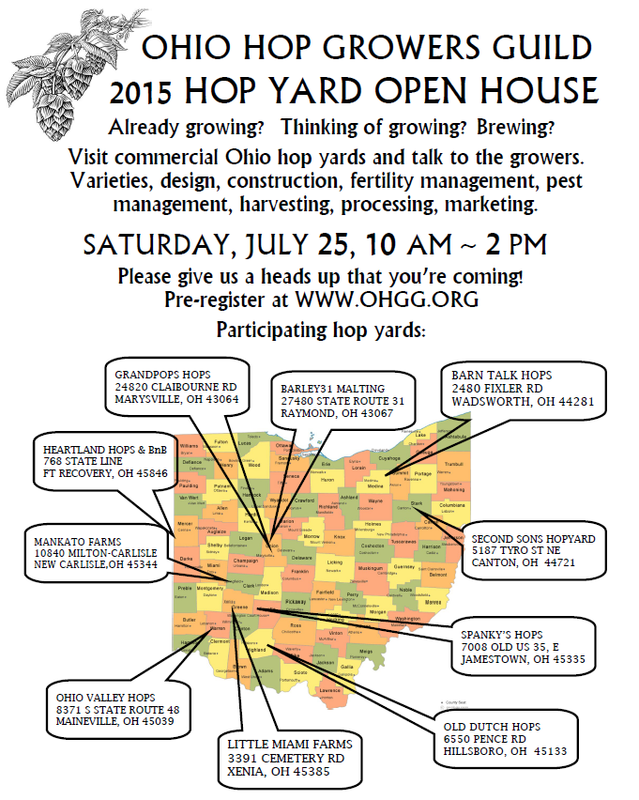 Join Little Miami Farms on Saturday, July 25, 10AM-2PM for the first ever Ohio Hop Growers Guild 2015 Hop Yard Open House. This event is free and you can visit as many hop yards as time allows. 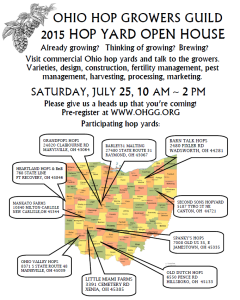 Pre-register on the Ohio Hop Growers Guild website to help our host hop yards anticipate how many visitors they will have. These are working farms. Please follow all signs for your safety and others. See you in the hop yard!